GREAT BUY GREAT AREA MINUTES TO SHOPPING, HOSPITALS, SUN COAST PARKWAY AND SUN COAST TRAIL, DAY CARE, SCHOOLS. PUBLIC BOAT RAMP FROM HERNANDO OR HUDSON DIRECT TO THE GULF OR TAKE YOUR CLUBS AND PLAY GOLF. BRING YOUR PETS, GOATS BIRDS WHAT HAVE YOU - PAVED STREETS AR ZONING FOR SITE BUILT OR MANUFACTURED HOME -PRIVATE YET AND ONLY MINUTES TO WHAT YOU MAY NEED LOCATED IN PASCO COUNTY WITH SPRING HILL MAILING ADDRESS PROPERTY IS JUST OFF OFF COUNTY LINE ROAD. 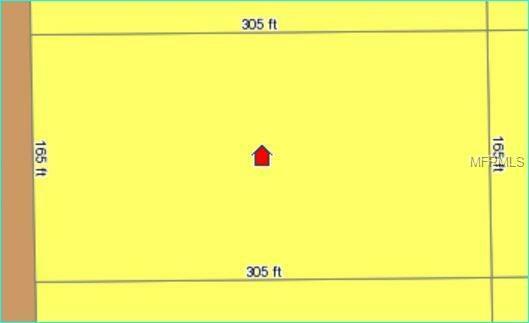 Lot Size Dimensions 165' X 305"